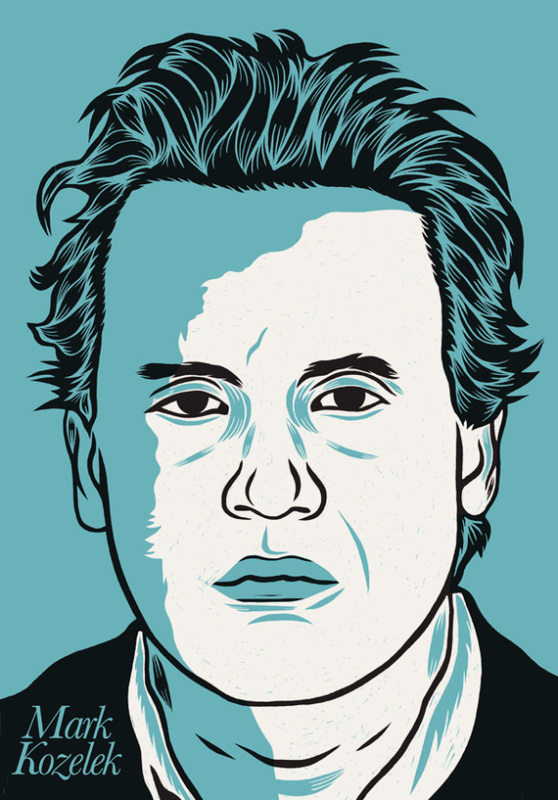 BY KYLE WEINSTEIN Although born and raised in Massillon, Ohio, Mark Kozelek’s professional music career began in San Francisco with the formation of Red House Painters in 1988. 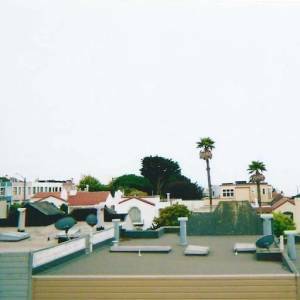 Their first album, Down Colorful Hill, showcased, early on, Kozelek’s profound talent for sincere and deeply personal lyricism, which he would carry through his career into the present. The band’s style quickly became associated with sadcore/slowcore, and assumed an important role in influencing that realm of ‘90s alternative music. In ’92, the band were signed to 4AD after its head honcho, Ivo Watts-Russel, heard their jaw-dropping demo tape and just had to call Kozelek, who, at the time, happened to be sitting in the bathtub dreading that he would have to go to work that day. 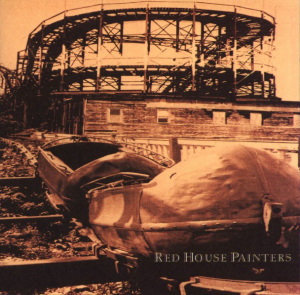 Over the course of the next nine years, Red House Painters released a total of six studio albums and one EP, until morphing into Sun Kil Moon, the members of which remained largely the same as they were in the former. 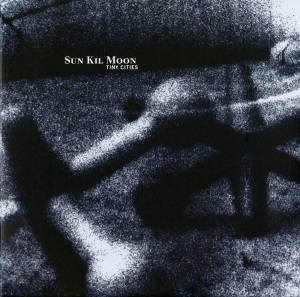 Being the boxing aficionado that he is, Kozelek named the project after Korean super flyweight boxer Sung-Kil Moon. Since then, Sun Kil Moon has undergone a series of lineup changes, leaving the only founding member, Mark Kozelek, at the center of its orbit. Steve Shelley, formerly Sonic Youth’s drummer, has provided occasional support to the band since 2015. As well as his work with Sun Kil Moon, since the dissolution of Red House Painters, Kozelek has released ten studio albums, with one more currently due to release in 2019, along with a handful of EPs, compilations, and over a dozen live albums. Earlier this year, he released a self-titled solo LP [pictured, below], and is currently on tour. He will be playing at the Theater of the Living Arts on September 9th. In “I Watched The Film The Song Remains The Same,” off of Sun Kil Moon’s 2014 LP, Benji, Kozelek expresses his gratitude toward Ivo Watts-Russell, singing “He’s the man who signed me back in ’92/And I’m going to go there and tell him face-to-face, ‘thank you’/For discovering my talent so early/For helping me along in this beautiful musical world I was meant to be in.” Thank you, indeed, for discovering one of the greatest songwriters of this generation. PHAWKER: Last year, you scored a film, James Franco’s The Pretenders, although James Franco was not involved during the time you were writing the songs. How does writing songs for a film – and this film, in particular – influence the way you write them? Did you watch film footage before composing or just write songs in the abstract? Did you retain your autobiographical proclivity during the process? MARK KOZELEK: This was an unusual film score experience. The screenplay was written by Joshua Boone. The Sun Kil Moon album Admiral Fell Promises had an influence on the screenplay and there were a lot of Admiral Fell Promises Songs as well as Among The Leaves songs referenced throughout the screenplay as background music. But Joshua passed it onto James to direct and by the time I saw it they had a lot more of my songs in it from other albums. It was the easiest film I ever scored because they showed me an early cut of the film, and a later cut, which had a lot of my already recorded songs, and asked if I thought any changes needed to be made. I thought it was cohesive and that everything looked and sounded great. Jack Kilmer is the lead. I’m not sure when the film will be released. PHAWKER: Your self-titled solo album released this past spring was partly recorded in hotels in San Francisco. Was there a creative reason for this, and what difference does it make in the feeling of the songs recorded there as opposed to in a studio? MARK KOZELEK: I was ready for a change. For the most part, I’ve been recording at the same studio, Hyde Street Studios, in San Francisco, since 1994. There are no windows and I wanted to see how daylight and views affected my writing as well as different neighborhoods other than The Tenderloin. As it was just an engineer and me, it was cost effective to book a few rooms in hotels, skip studio rentals, and hang around the hotels and record. During one week-long session we were at a hotel in Ocean Beach and the scenery there affected my writing. The fog rolling in every day and my walks along the Great Highway. PHAWKER: Do you still reside in San Francisco, and if so what are your thoughts on SF circa now? MARK KOZELEK: Yeah I still live here. My thoughts are that I’m now the oldest guy in the building, that every person I see works for a tech company, and that if I got run over by a car, five people in the city would care. San Francisco still inspires me – the terrain, my walks, my girlfriend, my home, but being a 50+ musician in San Francisco isn’t glamorous. PHAWKER: Speaking of writing in a San Francisco hotel room, the animated video for “666 Post,” off of your latest album, is quite a trip, as are the lyrics. Your lyrics seem to be increasingly stream-of-consciousness-based. Please explain the how and why of this apparent shift in your approach to song writing. MARK KOZELEK: It’s easy to explain. Some guys, at 50, are still with their high school sweethearts, while some guys got bored with their high school sweethearts and dumped them by 40. For the common civilian who doesn’t understand anything about art, that’s the best analogy I can think of. Some people don’t like change, some do. By 40 years old, I’d put my time in with metaphors. I felt like writing more and singing more. If anyone thinks I’m not singing on “Topo Gigio,” then cover that song and tell me how it goes. At 40 I fell in love with music again. Collaborations with Justin, Ben and Jim, with Steve Shelley. At 51, I’m having fun playing music while every 50 year old I see doing reunions looks like a wind-up monkey a step away from committing suicide. PHAWKER: You’re working again with Jim White, as well as saxophonist Donny McCaslin on a record due next year. In the single, “Day in America,” you express your thoughts on the Parkland shooting in enough detail that there’s probably no need for elaboration. On top of that, you wasted no time getting the message out there, releasing the single just three days after the shooting. As a nation, we have been through so many of these massacres in recent times, and what is depressing is how numbingly similar they are. But some people think that we have reached inflection point with the Parkland shooting, with the survivors becoming radicalized and organized and advocating for themselves and reaching out and connecting to all the other kids across America. Could this be the thing that turns the tide? Or was that just a little boomlet that’s already had its moment? MARK KOZELEK: Yes, I remember the girl with the shaved head on the cover of magazines back in February, but the last time I checked, other shootings have happened, and the last time I turned on the news, it was all about the border situation. This is America: everyone stares at their phones, binges out on TV, is easily distracted, and yes there will be more and more shootings. PHAWKER: What was the last record old or new that you heard for the first time that blew you away, and why? MARK KOZELEK: All three Xylouris White albums. The big sound that those two guys make. Their chemistry seems blood related, but it’s not. Their music is everything I love in music; restrained, explosive, cathartic, melodic. George’s singing range and Jim’s playing are through the roof. You won’t see a two-man show like that anywhere but at a Xylouris White show. PHAWKER: I’ve read that you are a boxing aficionado; can’t help but note the cognitive dissonance of someone who makes such gentle, soft-spoken music being drawn to such a brutal sport. Please explain the allure. MARK KOZELEK: Gentle and soft spoken, at times. Boxing is art. Mayweather made his millions on his elusiveness, his craftiness, not his aggression. And Manny recently knocked a guy out for the first time in nine years. When Floyd and Manny fought, I was there. They fought smart. I came home and every schmo in America was disappointed that there wasn’t any blood. They don’t understand boxing. Sure boxing is early Mike Tyson but it’s also Pernell Whitaker’s entire career. He was an artist. Slippery. Not a big puncher. That’s how he won. He outpointed but he wasn’t a heavy hitter. Nobody could catch him. MARK KOZELEK: You mean the age that put us in the place where this obnoxiousness happened in the first place. The age of the internet and Facebook and let’s not forget Trump’s main weapon of communication: Twitter. As I recall it wasn’t long before the election that people were chasing Pokemon around and getting hit by cars. How I deal with making life bearable in this age is that I haven’t watched the news in over 40 days. This entry was posted on Friday, August 31st, 2018	at 4:41 pm	and is filed under News	. Responses are currently closed, but you can trackback from your own site.